Attractive Blonde TV Presenter Holding A Microphone And Points.. Stock Photo, Picture And Royalty Free Image. Image 41175974. 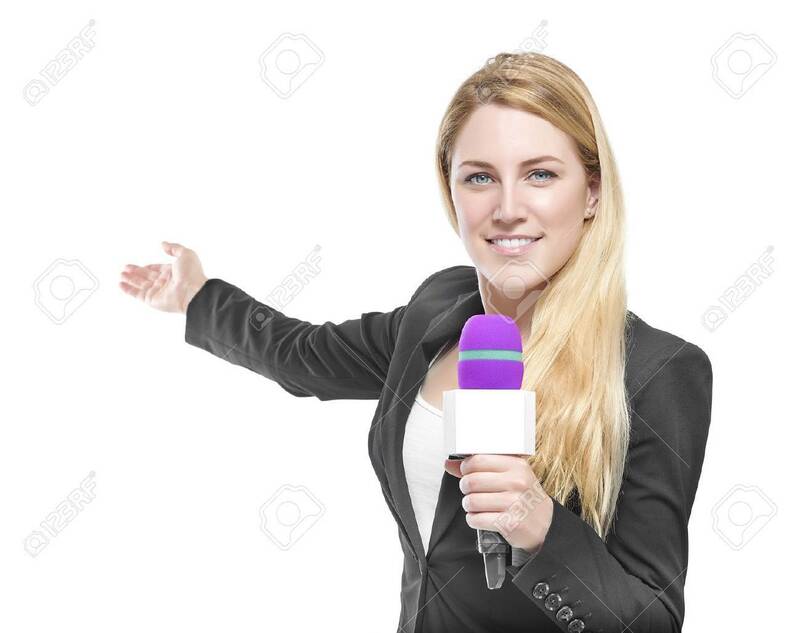 Stock Photo - Attractive blonde TV presenter holding a microphone and points to an object. Isolated on white background. Attractive blonde TV presenter holding a microphone and points to an object. Isolated on white background.